It's hard to stand the Texas heat come July and August, but the promise of perfect porch weather right around the corner makes it a bit more bearable. 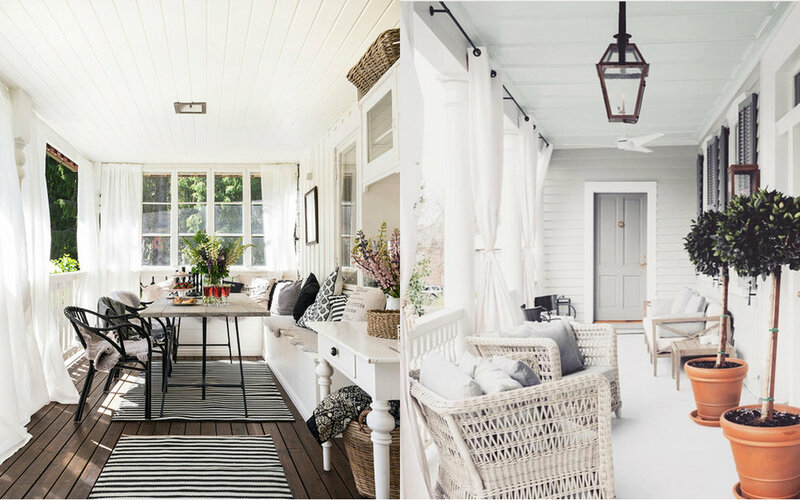 We're dreaming of these gorgeous porches and letting the ideas inspire our inner designer this summer. Space to entertain is a wonderful thing, but an intimate patio setting is also a luxury when it comes to spending time with those you love. If you have a smaller patio, don't shy away from small love seats and extra chairs — sometimes a little well-designed clutter can create a cozy space to enjoy. Photos via Claire Zinnecker Design & Domino. Wicker is all the rage this summer and these porches execute the use of the material quite well! If you're using a mix of natural fabrics and textures for your porch decor, consider adding touches of wicker with unique furniture. Using plants is a great way to make any patio feel more private while adding a whimsical touch to the outdoor space. Whether it's potted plants that work together to make a statement or bushes and vines that provide a shady setting, you can't go wrong with adding some lush accents to your porch. If you're going for a more clean and polished look, opt for a porch that boasts exquisite white design with a few dark accents. Long, transparent white drapery adds a chic touch to any porch, while incorporating rich metals or vibrant pots will add a bit of drama to the design. you can't go wrong with a porch that evokes traditional Southern design! If your home features a plantation-style porch, adding a few pops of bright color and perfectly potted plants will have your outdoor space feeling like a true southern home. Updating your outdoor living is a great way to make any home feel new, and these charming design ideas will make any space feel like home. 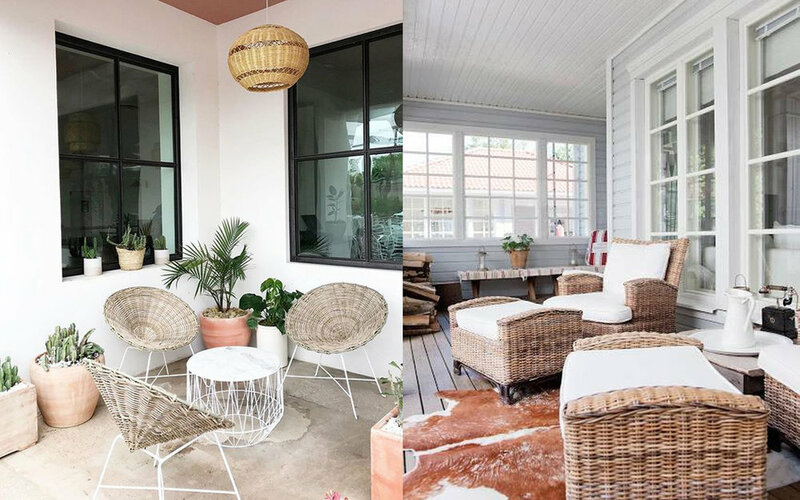 Whether you prefer a cozy space with plenty of privacy or a sprawling porch featuring plenty of color and a full furniture set, let these porches inspire your patio design!